There is an old adage that says when a great person dies, a library has burnt down. On Tuesday last, an invaluable archive of the great, Jamaican historical legacy, encompassing a decade more than three scores and ten, met such a fate when Cedella Booker died. ”We knew she was sick, and she’d keep fighting and pulling through,” her musician grandson, Ky-Mani Marley, told the Miami Herald. “So it was expected, but unexpected. It’s a great loss,” he added. Booker, who at eighteen years old, one early Tuesday morning, gave birth to a bouncing six plus pounds baby boy who was to become the Reggae king of the planet, succumbed to heart-related ailments at her South Florida home where she lived for twenty years. The once bashful, Christian girl from Rhoden Hall in St. Ann, soon blossomed into a defiant and redoubtable woman who shouldered the responsibilities of raising a young, precocious boy named Bob, after her brief and ridiculed marriage to a white, Jamaican naval officer, failed. “Cedella was one of the most powerful women I’ve ever known,” says Chris Blackwell, founder of Island Records. Perhaps the seeds of resoluteness were etched in the bones and found roots in her son. Cedella, the daughter of a respected Parish Custos, Omeriah Malcolm, wore the scralett letter of reproach upon the Malcolm family when she entered into an amative relationship with one of her father’s tenants, Captain Norval Sinclair Marley of the West India Regiment. Captain Marley, a member of the imperial, Jamaican plantocracy, was wooed by Cedella’s singing and cared not he was over thirty years her senior. In 1955, the eccentric, uniformed man, died at age sixty leaving Cedella behind with a 10-year old boy to care for. Bob Marley’s mother authenticated the Tuff Gong traits that were later seated in her son’s rebel music and prophecy, as court documents tell the story of her “cussing out” members of her husband’s family, who excluded Bob from his bequests. Forced by the need to seek brighter economic prospects, she swapped the comforts of the Victorian big house where she grew up near Nine-Miles – now home of the Bob Marley Foundation – and sojourned east to the slums of Trench Town in Kingston. A country girl in every respect, Booker, did not set out to introduce her son to the suffering attached to the government yaad by choice. Mother and son were immersed into the hardships of the rough, capital city by necessity. Marley was immediately a target for racial slurs and bullying as he looked different from his peers, but, with the help of his mother, he held his own. Where he lacked the brawn, he overcompensated for in bravado and a fearless determination to survive. He reminisced upon the less bountiful junctures in his life and that of his mother in the famed, No Woman Nuh Cry, a riveting ode in which she was the subject and his little darling. No Woman Nuh Cry urged Cedella to wipe away her tears but that was easier said than done. She and Bob were close. “I can’t put into words the extraordinary bond between mother and son that cannot be broken,” said her second son, Richard Booker. She wailed incessantly when opportunity dictated her leaving him behind to join other family in Delaware. By then, Cedella had borne a daughter with Bunny Wailer’s father, Toddy Livingston. Her attempts to coax Marley to join her and his sister, Pearl, fell on deaf ears as Marley was determined to remain among his Rastafarian elders and develop his message with band-mates Peter Tosh and step brother Bunny. Cedella exchanged nuptials for the second time with an American, Edward Booker, and adopted Wilmington as the family’s base camp for several years. Her last visit to her first home in America was a month ago, when she attended the memorial service of Genivy Brown, her sister. All of Booker’s fifty-two grandchildren and great grandchildren have one time or another lived or passed through Delaware, where they gleaned wisdom and the warmth of Mother B’s love. “Since a young child, my grandmother showed me the meaning of love, life and laughter; she embodied them everyday, all the time. I will miss her and keep the gifts she has given me close to my heart forever,” said her namesake and eldest grand-daughter. Like her son, Mrs. Booker followed the teachings of Rastafari and was an accomplished musician in her own right. 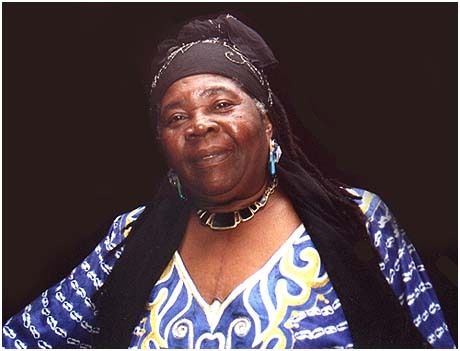 She collaborated with other artistes, mostly her grandchildren, and performed in the US, Europe, Mexico, Africa, and Jamaica. She released two albums – Awake! Zion, in 1991, and a year later, Smilin’ Island of Song, a compilation of Caribbean folk ballads for children. She also authored two books about her legendary first born, in which she revealed vignettes of his personal life and her challenges as a mother – 1997’s Bob Marley: An Intimate Portrait by His Mother and Bob Marley, My Son in 2003. The Marley family’s Mother Moses was determined to embody the work and teachings of Bob posthumously, and was instrumental in strengthening the Movement of Jah People, a not-for-profit foundation that is a beacon of hope for youth at risk in underserved communities in Florida and the Caribbean. The former Nine Miles Basic School was taken under her wings and is now named in her honour. “She served as the matriarch of the entire Marley Family, ensuring that Bob’s rich legacy would survive to touch and motivate each generation. We will all miss her energy and drive,” says Blackwell. Services for Cedella Booker will be held between 10 a.m. and 6 p.m. Monday at the Range Funeral Home, 3384 Grand Ave., Coconut Grove.